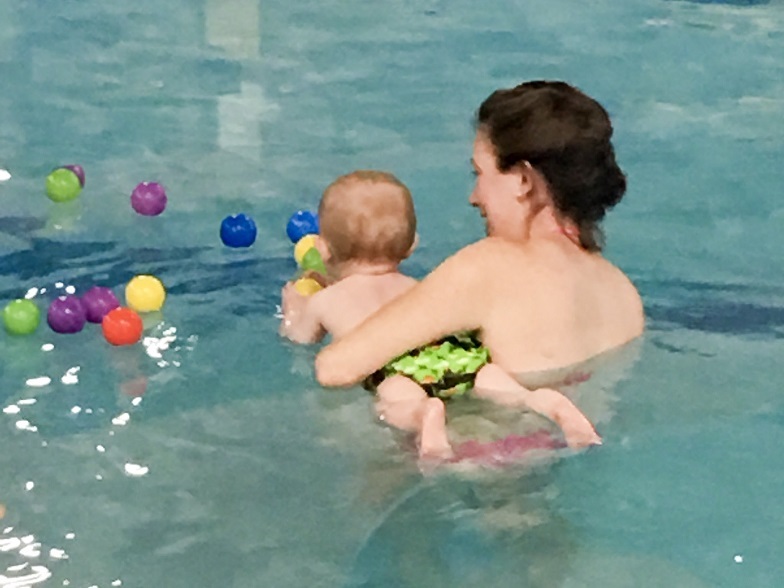 (Bee)autiful Blessings: Crosby + Charlie's First Swimming Lesson! 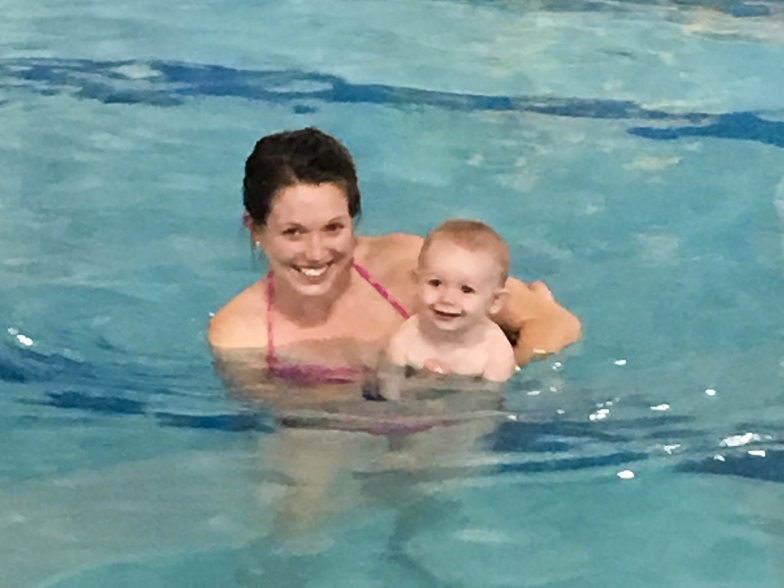 Crosby + Charlie's First Swimming Lesson! I knew when I had children of my own, that I wanted to get them in swimming lessons from an early age. Not just because playing in the waves is the most fun ever, but because it's important to me that my children understand water safety right off the bat. 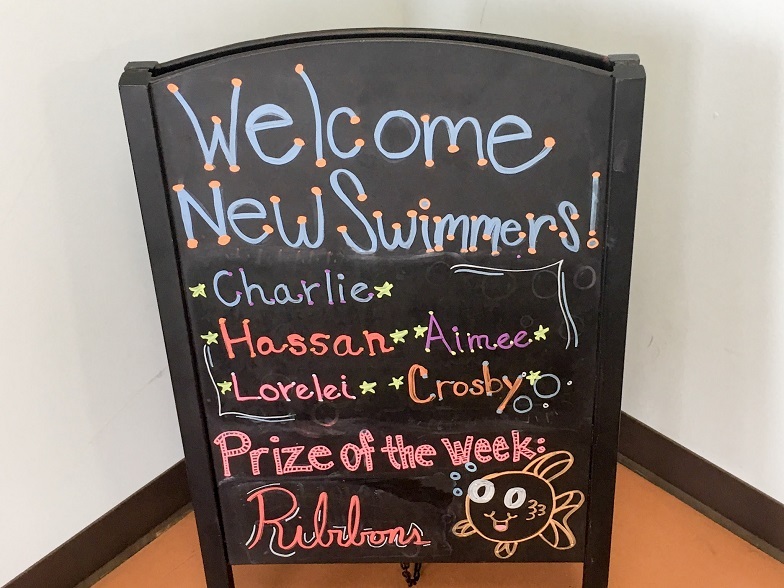 Accidents happen, and though I'm not expecting Charlie and Crosby to become the next Michael Phelps, I do want to make sure that they know the basics. 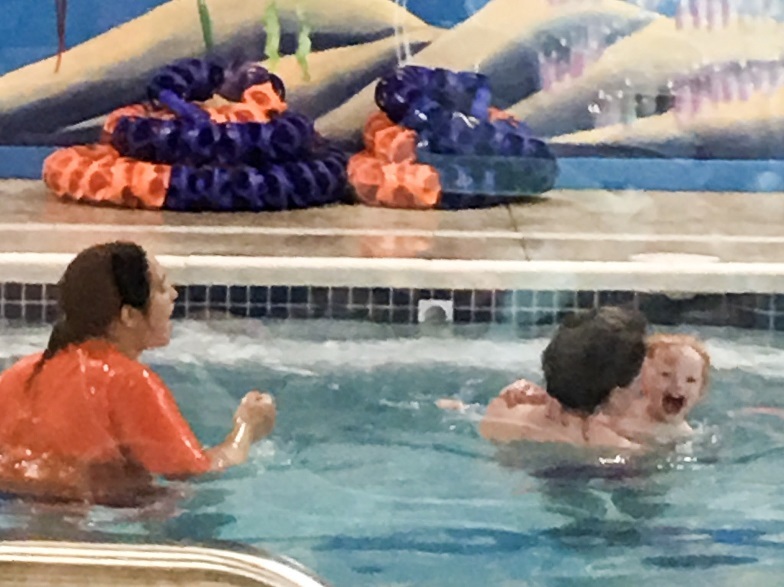 Last week, Charlie and Crosby had their very first swimming lesson at Goldfish Swim School- Dayton. I was the most anxious for Charlie because he hates getting water in his face. Can I just tell you? They loved it. In fact, I think "love" is an understatement. Crosby went first in the "Mini 1" class and Charlie went immediately after in the "Mini 2." By the time it was Charlie's turn I had to physically stop him from jumping straight into the pool- he was so excited watching his brother go first! The class was fast-paced, but so much fun. The kids started and ended with a song. In between, we practiced making a "fish face" to hold our breath, we practiced kicking and "pulling" our arms, and the boys even got to go down a slide! 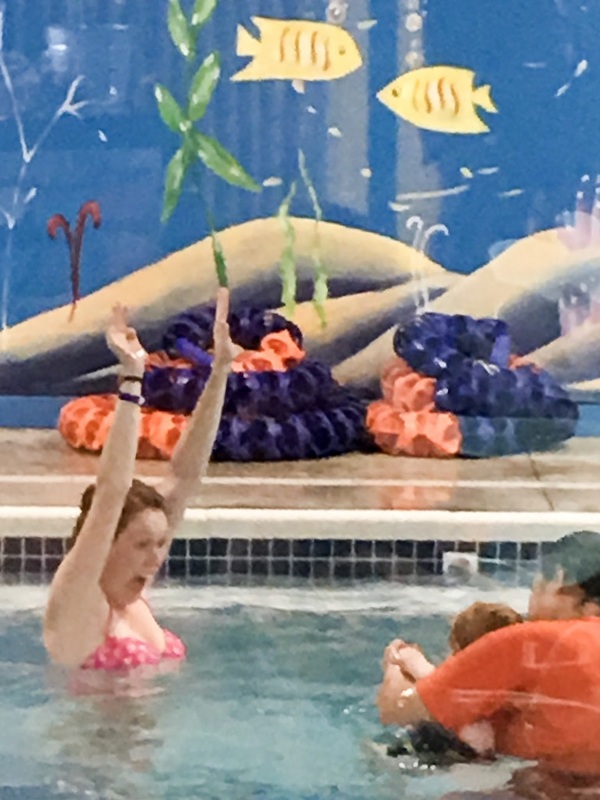 My favorite part (because I'm a Mama Bear) was learning how to "crab walk" along the wall and how to lift themselves out of the pool "Hand hand, elbow elbow, tummy tummy, knee knee!" We had such a fantastic time with our teachers, Miss Brooklyn, Mr. Matt and Miss Rebecca. The boys can't wait to go back this week, and truthfully, neither can I! 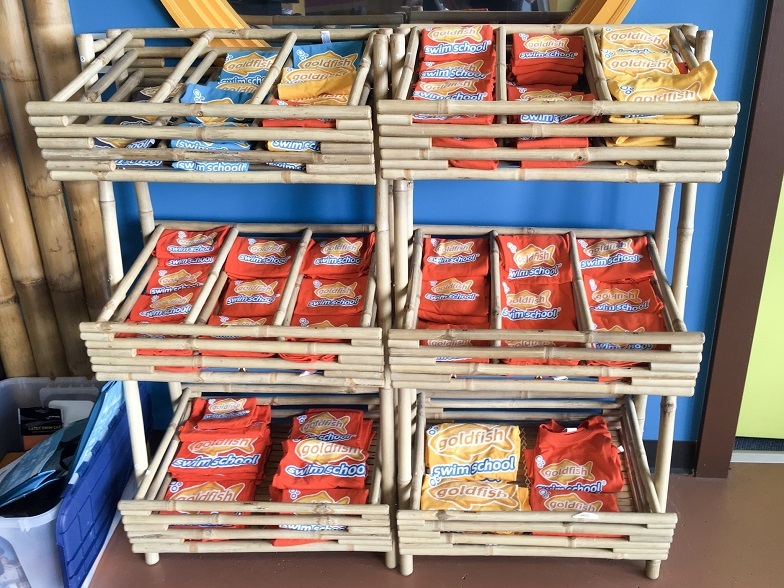 If you're in the Dayton area, I would highly recommend Goldfish Swim School. 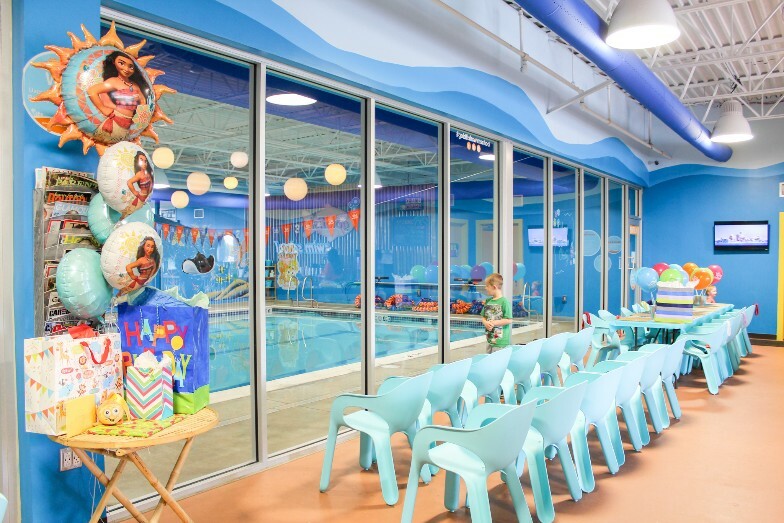 In addition to swimming lessons, they also do parties. 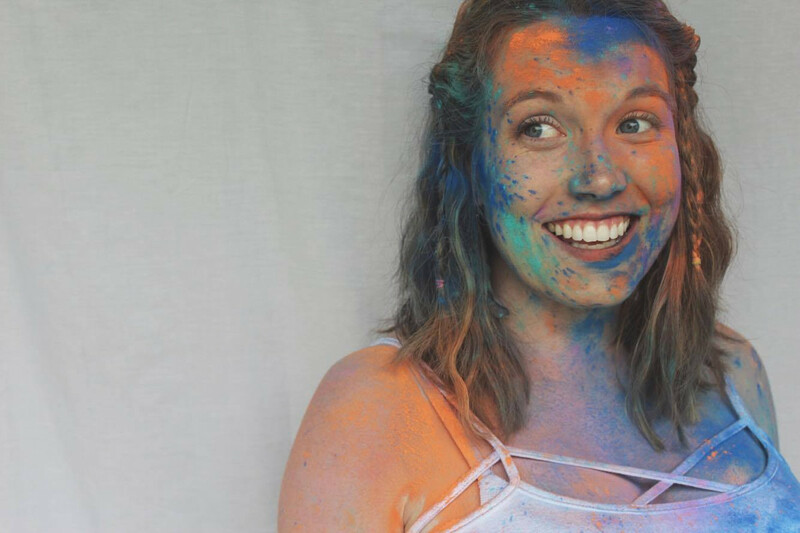 I can't wait to start planning Charlie's third birthday in December and think a pool party would be so much fun!